Thanks for choosing MyPCDrivers! Your download will begin shortly. If you are experiencing problems with the download, please click this direct link to download the file. When the prompt window pops up, click the "Save File" button. 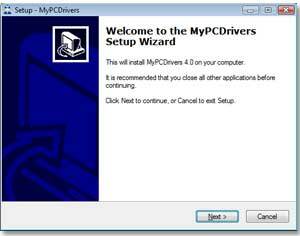 MyPCDrivers will be downloaded to a location on your computer. It only takes less than a minute to complete. 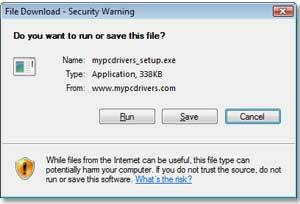 When the download is complete, double click the file mypcdrivers_setup.exe in your specified folder. Follow the descriptions within the installer to complete the installation. Click on Finish to complete your setup. 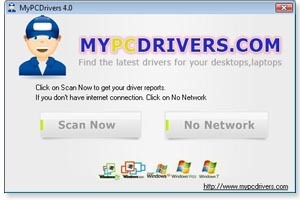 Now , click on "Scan Now" to start updating your drivers.